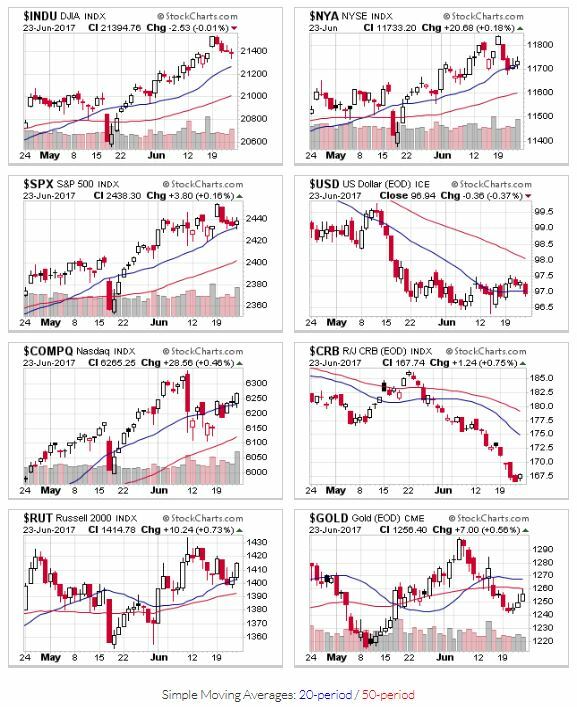 With the Nasdaq's stronger showing last week, all the indexes start this week above key support levels (20 and 50 day moving averages), so no change in signal. Best of luck this week. Last Sunday, I mentioned some of my newer holdings had retreated to buy points. During the week, those positions hit sell triggers (so I'm out), and my weekly scan shows that stocks with the best fundamentals are at profit taking levels (+20%) or are extended from proper technical buy points and bases.